Home IELTS Writing Task 2 Model Answer: Increasing the price of petrol is the best way to solve growing traffic and pollution problems. Over the last half-century, there has been a dramatic increase in the number of vehicles. This has resulted in numerous traffic jams especially in the big cities and consequently, high levels of air pollution. Although, there are those who believe that increasing oil prices might help solve this problem. I am strongly inclined to believe that higher petrol prices will have serious drawbacks on our society. Firstly, oil and gas play a fundamental role in the industry, since most of the heavy machinery used in different industries are operated by petrol. For example, a recent study conducted in Japan has revealed that the nearly 80% of all businesses are sensitive to the price of petrol. In addition, higher prices of petrol will indirectly influence the prices of the various goods in the market through increasing the cost of their transportation. Lastly, this will burden the people and limit their freedom to travel to enjoy their leisure time. Undoubtedly, the growth of oil and gas prices will create new problems. On the other hand, there are some other ways to tackle traffic and pollutions problem in cities. To begin with, improving methods of public transportation as well as the increase in their availability everywhere around the clock, will significantly reduce the use of private cars. To illustrate, a recent study published in Canada has shown that the upward trend in the various means of public transportation such as buses and trains resulted in decrease the number of traffic jams and road accidents by around 25%. Moreover, the government should invest more on repairing and maintaining roads as well as constructing new roads to solve the problem and traffic congestion. Furthermore, the scientists should search for the sources of clean energy such as solar power and nuclear power to replace the fossil fuel. To sum up, it can be clearly seen that the cons of increasing petrol prices outweigh the pros hence I am strongly against the idea of increasing gasoline prices. Government and scientists can prevent the situation from further deterioration through new mobility solutions and innovation in renewable energy. 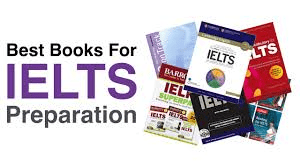 IELTS Academic Writing Task 1 Model Answer - Pie Chart and Table - The causes of land degradation worldwide and region-wide.IELTS Academic Writing Task 1 Model Answer - Diagrams - The stages and equipment used in the cement-making process, and cement production for buildings. Why do you think so? What does the essay lack?